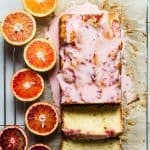 A citrus packed blood orange loaf cake topped with a tart blood orange icing. Serve a slice with a cup of your favorite tea and start dreaming about summer! Buying blood oranges has two benefits. First you cut them open and you’re wowed because of the awesome color, and then you get to stuff them in your face. Who can ever complain about that or blood orange loaf cake? 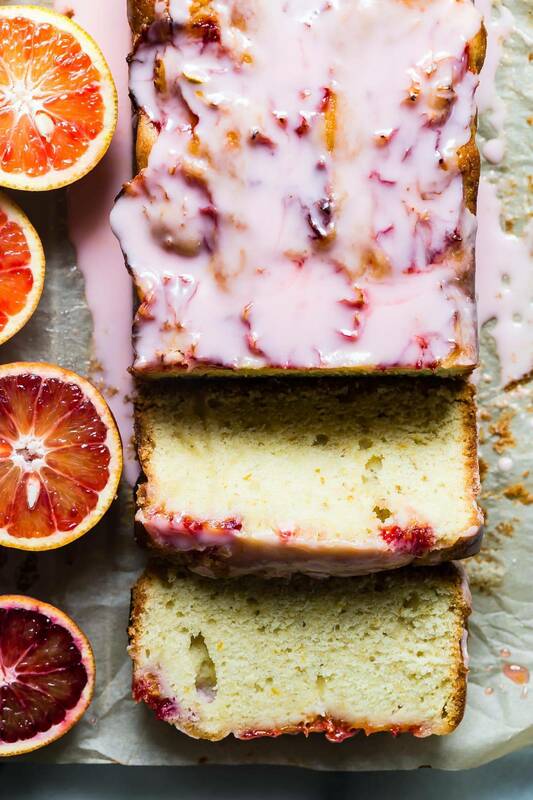 No one would ever turn down a slice of this moist, citrusy Blood Orange Loaf Cake. I wasn’t trying to reinvent the wheel when I made this, just to take a decent lemon loaf recipe from Ina Garten and use my stash of blood oranges to replace the lemon in the recipe. That “stash” I mentioned is actually a giant bag sized stash (15 pounds?) of blood oranges. 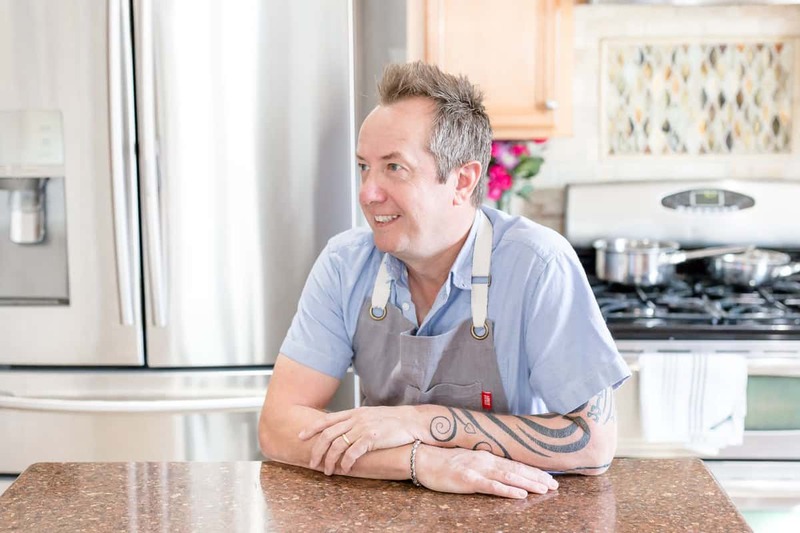 I talked about it before when I made my Blood Orange Meringue Pie. My friends have a tree that blooms ridiculous amounts of oranges every year so be ready for a slew of recipes coming soon! I’m only halfway through them. This is a no-frills loaf cake. You mix the batter, bake it and drench it in that crazy pink glaze which gets its color solely from the juice of the oranges. No food coloring or gels. That’s why baking with blood oranges is so much fun. Not only does everything taste so good, It looks like summer gone wild! A pet peeve I have is dry loaf cake, NoNoNo! So right before you drown this one in that bright pink glaze, you need to brush it with a blood orange syrup. Because we haven’t used enough oranges already, right? I think you’l like this and feel free to use any other citrus. Just switch it out for where you see blood oranges listed in the recipe. And take a picture and slap it on Instagram tagging me. I want to see all of your baking! *Recipe note*– I have listed 9 blood oranges which might seem too many. My reasoning is because blood oranges can sometimes be very small or all different sizes and by the time you use the zest and juice for this recipe, you may not have enough to sufficiently cover the loaf with decent slices. I would rather have a few too many than not enough. 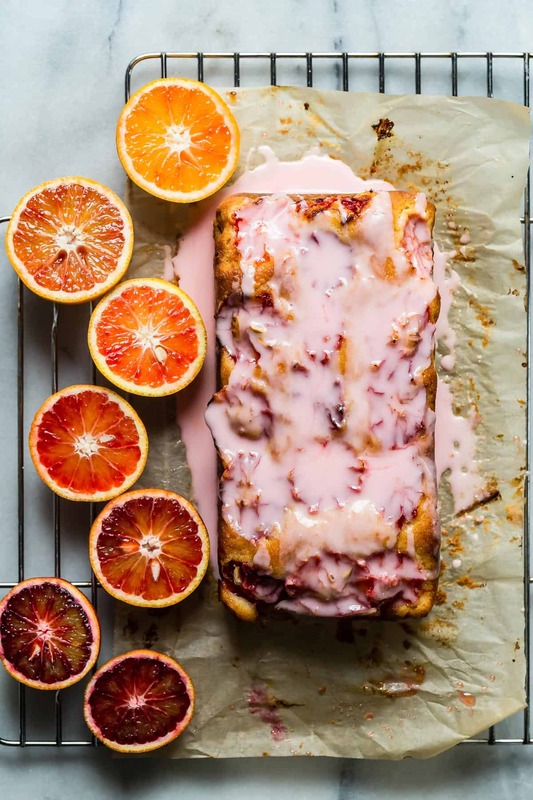 A citrus packed blood orange loaf cake topped with a tart blood orange icing. Cut a slice and start dreaming about summer! Preheat the oven to 350 degrees F. Grease an 8 inch x 4 inch loaf pan and line with parchment paper. Using a stand mixer beat the butter and sugar until creamy. Scrape down the bowl and add the eggs one at a time beating well. Add the zest and mix through. In a small bowl mix together the 2 tbsp orange juice, buttermilk and vanilla. Add half of the flour and half of the buttermilk mixture to the creamed batter and mix. Scrape down the bowl and repeat with the remaining flour and buttermilk mixture. Mix until well combined. Transfer the batter to your prepared loaf pan and spread it out evenly. Peel 2-3 blood oranges and slice into thin rounds. Cover the surface of the loaf with the orange circles and place in the oven. Bake for 60-70 minutes and the top springs back when gently pushed with a finger. Let cool and then mix the powdered sugar and 2 1/2 tbsp orange juice until smooth and lump free. Let the syrup simmer for five minutes until slightly thickened and then brush over the cake. Pour the glaze over the cake and spread to cover all of it. SO PRETTY! 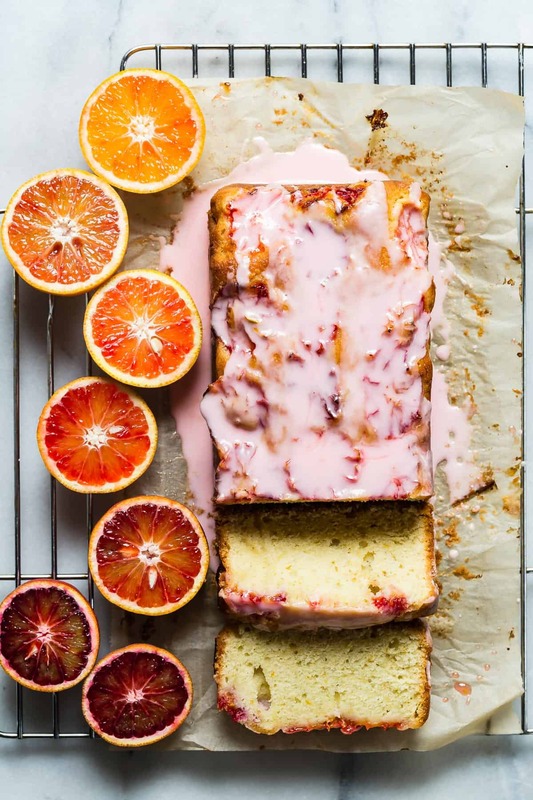 I am obsessed with blood oranges right now, so this cake is perfection! This loaf cake is so gorgeous! 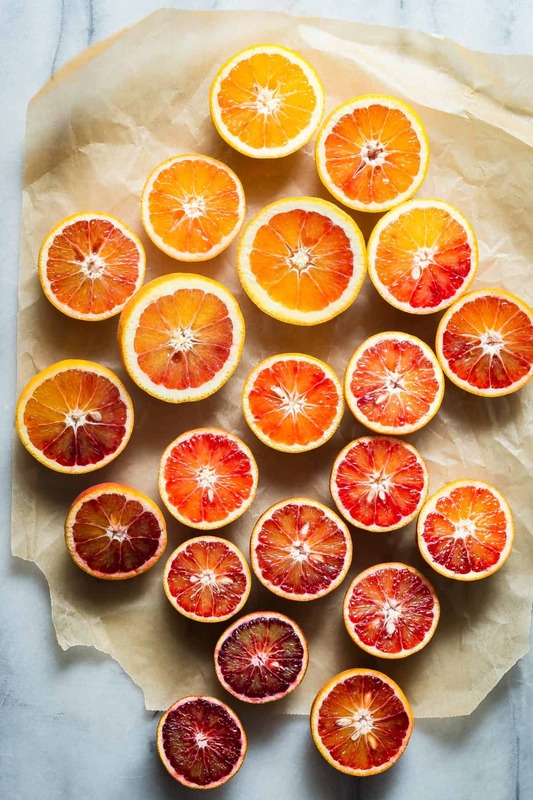 I love the use of Blood Oranges! The flavor is so fresh and delicious. 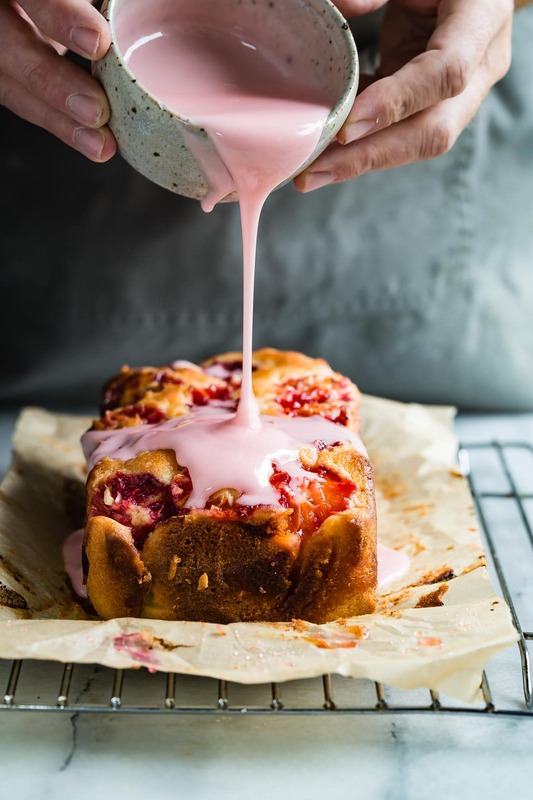 This is one gorgeous loaf, I love that pretty pink glaze! Made this today, just WOW!! All the finicky prep with the oranges is SO worth it. My new cake obsession!!! Hello. If only 2-3 oranges are needed why 8-9 oranges are mentioned in the ingredients? Hi, it’s just a generous estimate. Between squeezing some for the juice, zest and then for the slices on top of the loaf. Oh, yes please! This looks so good! Beautiful photos, too. Quick question though: how do you make the blood orange syrup? I saw instructions for the cake and the glaze but nothing about the syrup! Hi Sujana, you’re right! I’ll jump back in and add the method. It’s really simple but thanks for letting me know! I love this loaf cake. My orange pieces sunk to the bottom of my cake. They didn’t stay on top like yours did. Any suggestions? Maybe I should add them at the halfway mark. Hi Dana- glad you like the loaf cake. I’m not sure why the orange sank, but maybe adding them carefully at the halfway would work. Let me know!